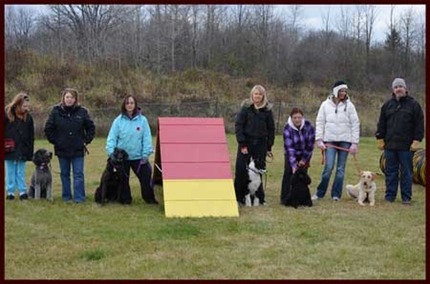 Agility For Fun - Year Round Indoor/Outdoor | Pets Plus Obedience Training School Ltd.
Indoor/Outdoor all year around. Safe and fun. *CONFORMATION Handling Classes in a relaxed, professional environment. "Pup-Ease" Agility: Prerequisite: None. For Puppies 4 Months to 1 Year Old. 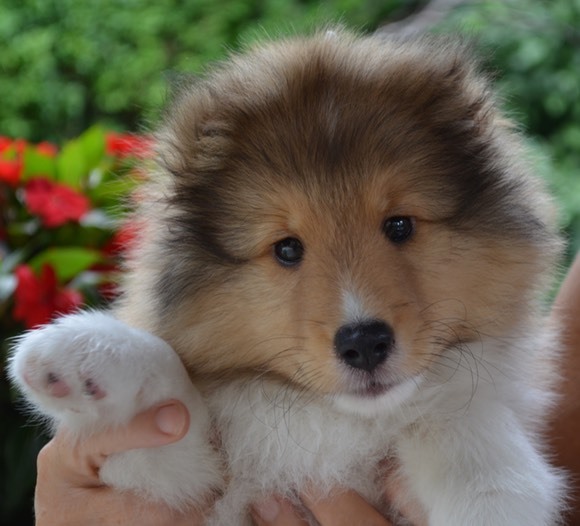 In this class we introduce the puppies to low and smaller equipment with an emphasis on fun and safety. "Pup-Ease" Agility is a great outlet for energy and a great confidence builder too! Come join us and have fun while connecting with your new Fur Kid ! Agility I: Prerequisite: Enthusiastic owner (although at least Beginners Obedience is advised). Safety Foremost, Fun Utmost! Here we intro the dogs to lower and graduated equipment, teaching them to focus and to get on and off apparatus safely and properly. Dogs are introduced to all the pieces of equipment . Basic Agility handling skills are taught. Fun included. For dogs 1 year and over. Agility II: Prerequisite: Agility I. Skill levels are increased as we expand on handling skills and distance control. Now the Dogs get to do more of the running as we learn to direct from a distance. Feel free to bring your enthusiasm with you! Agility III: Prerequisite Agility II. Expansion on control skills from a distance. 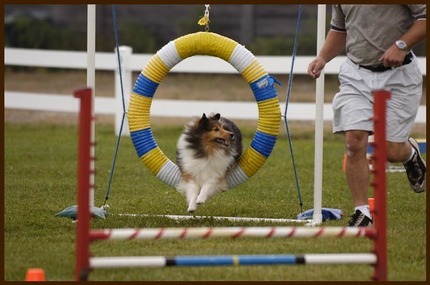 Courses are run and Agility games are introduced. Advanced Agility: For those who would like continue to build their agility skillls but competition is not their thing (although certainly you can advance to competition if you like from here). Come on out and run some fun courses each week and play some agility games. Our instructor encourages you to have fun and enjoy the Agility experience with your dog!